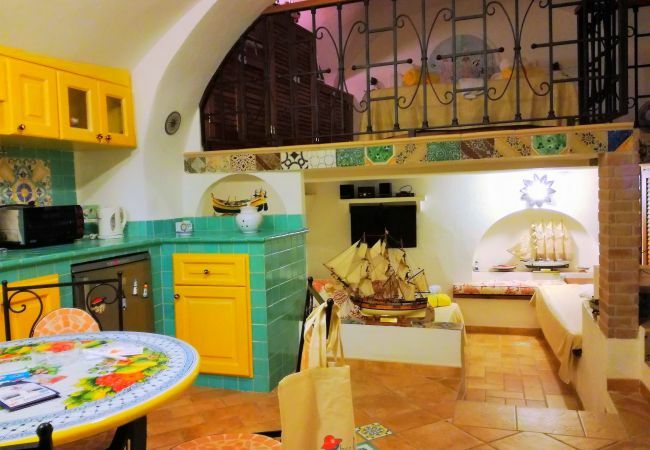 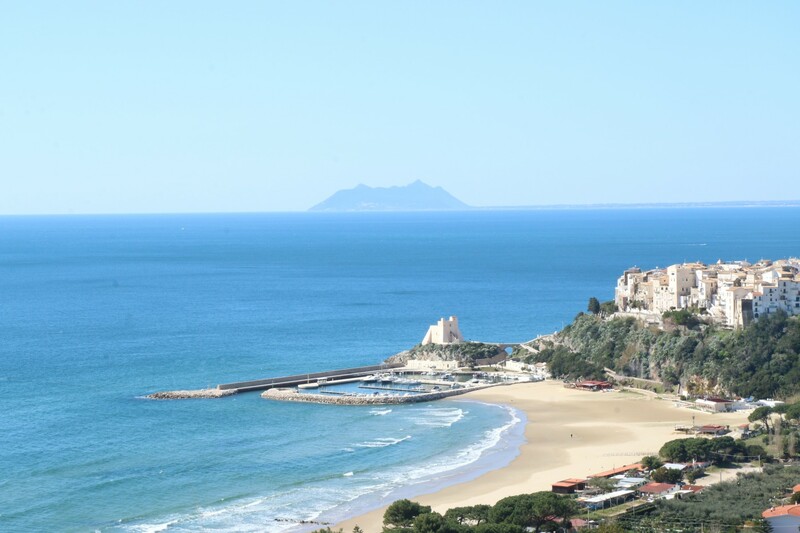 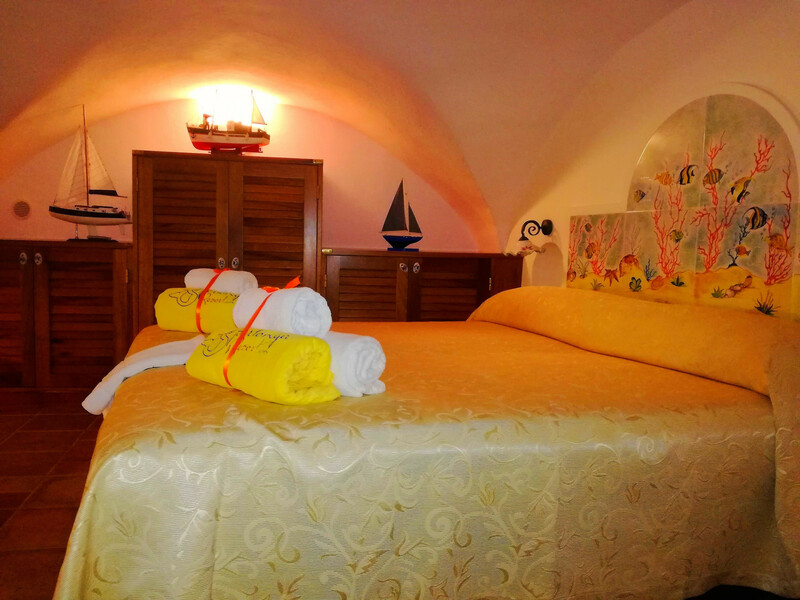 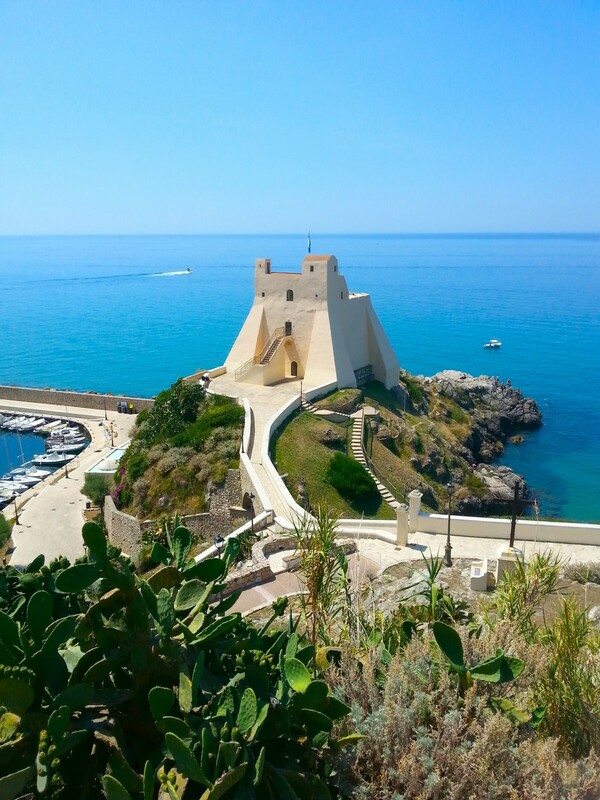 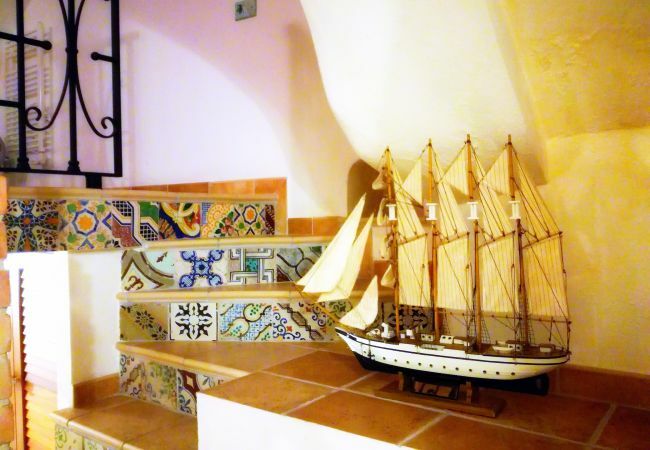 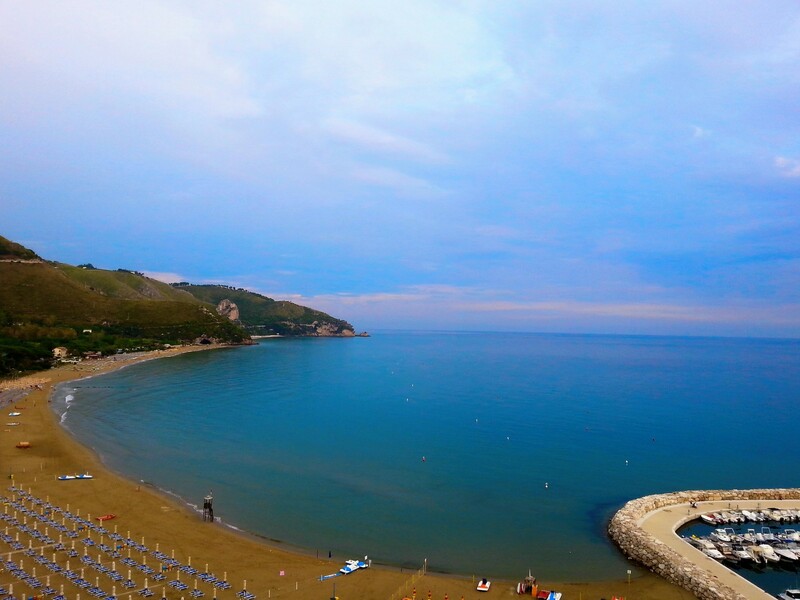 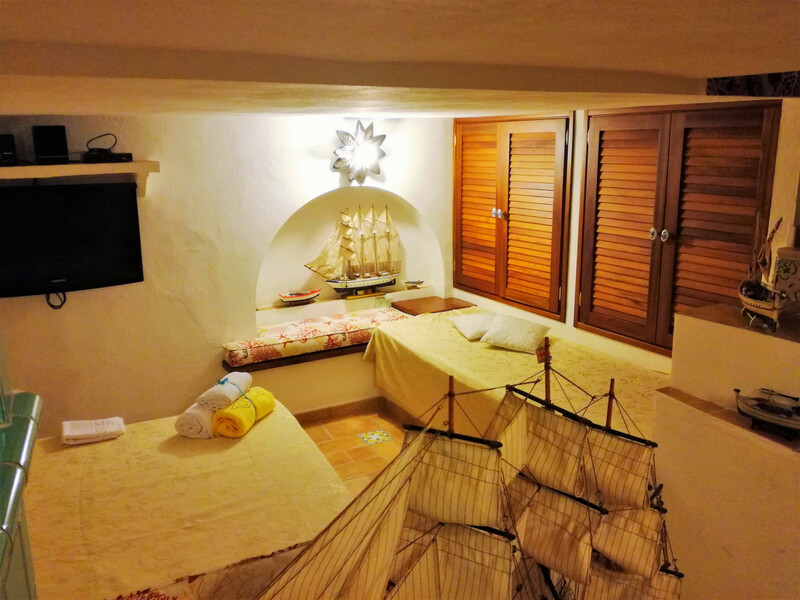 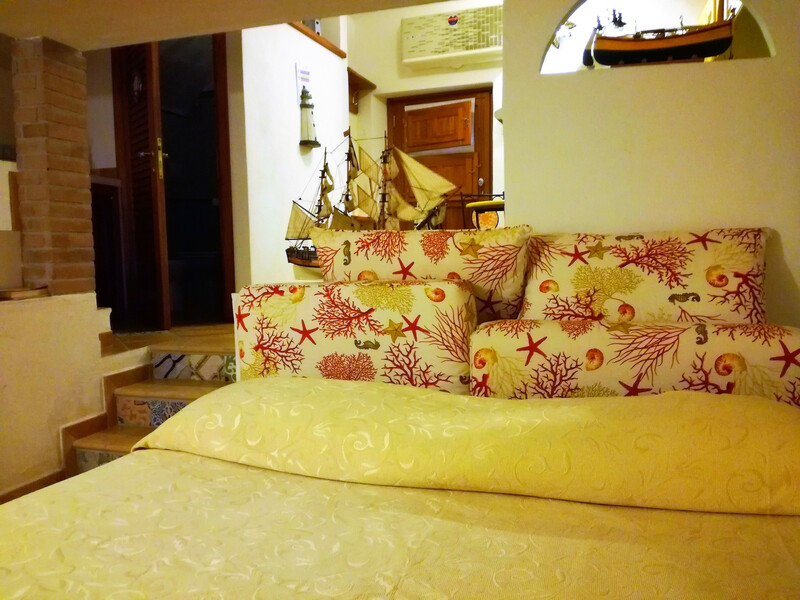 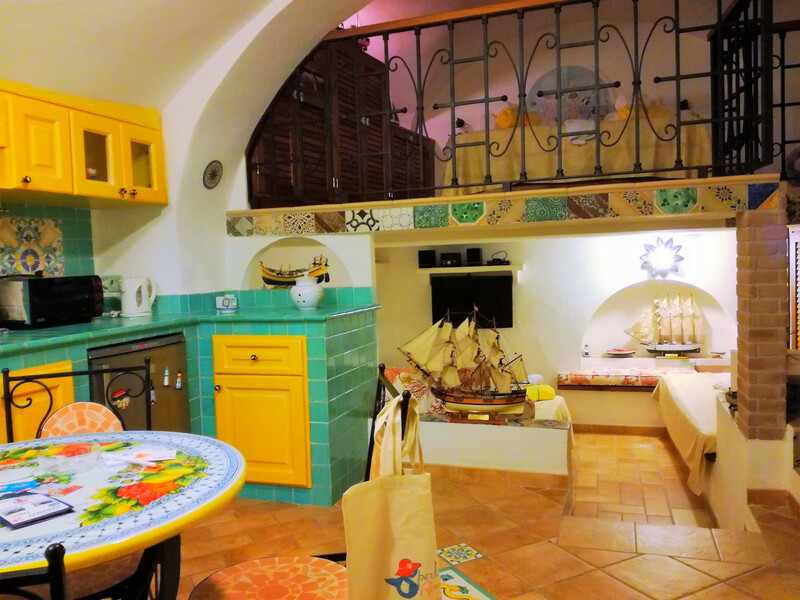 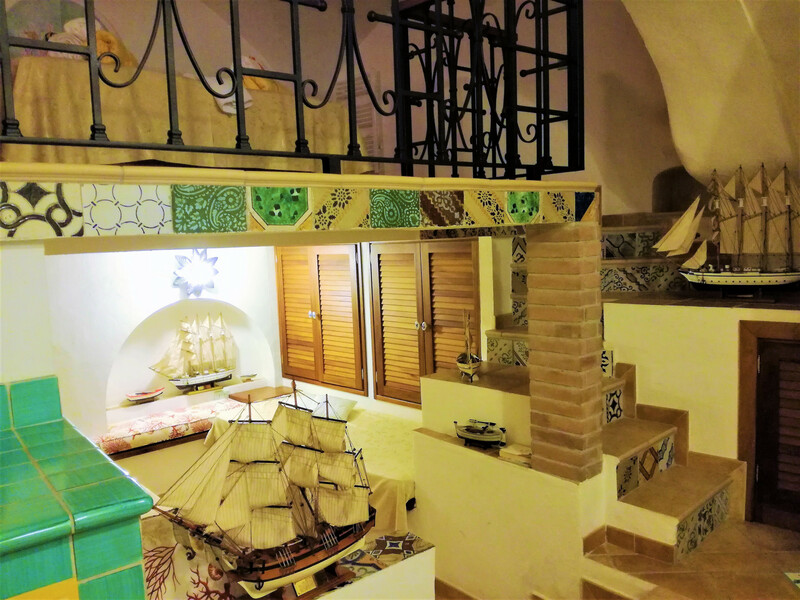 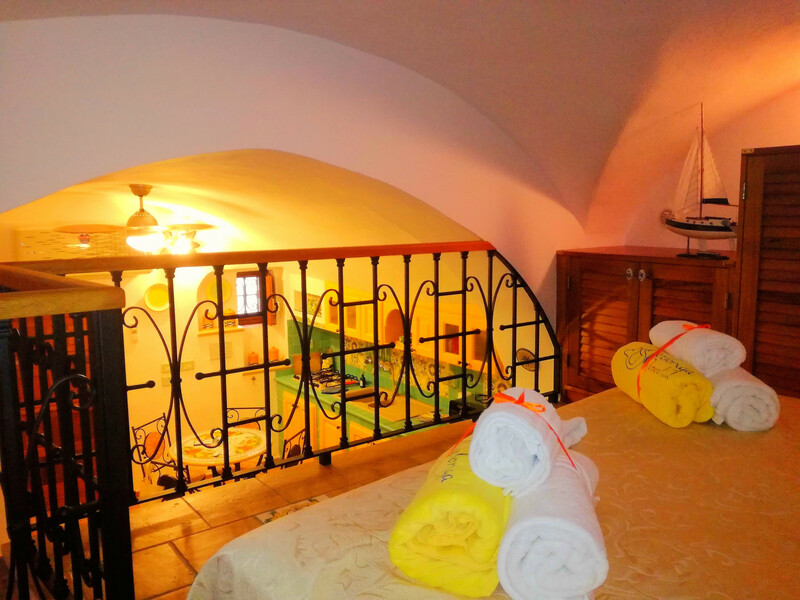 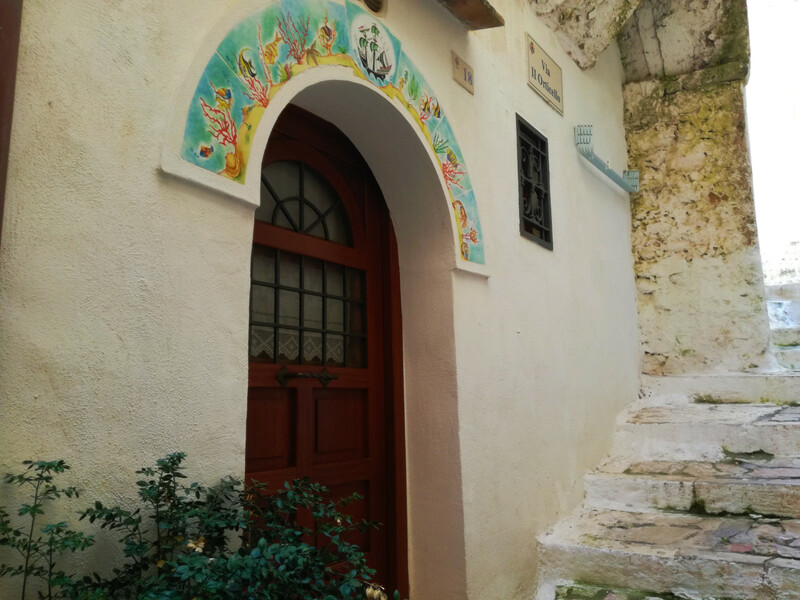 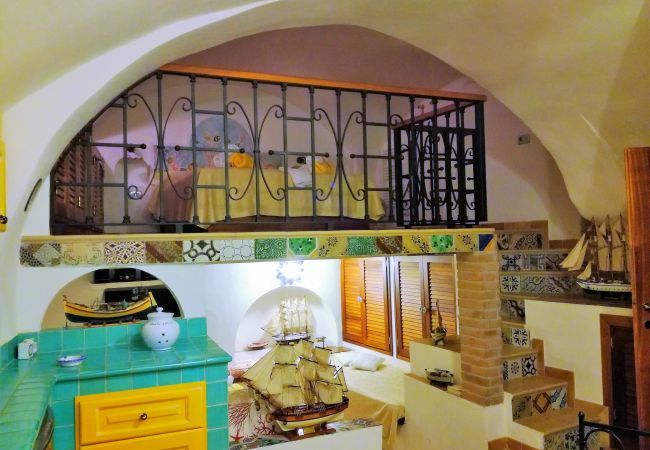 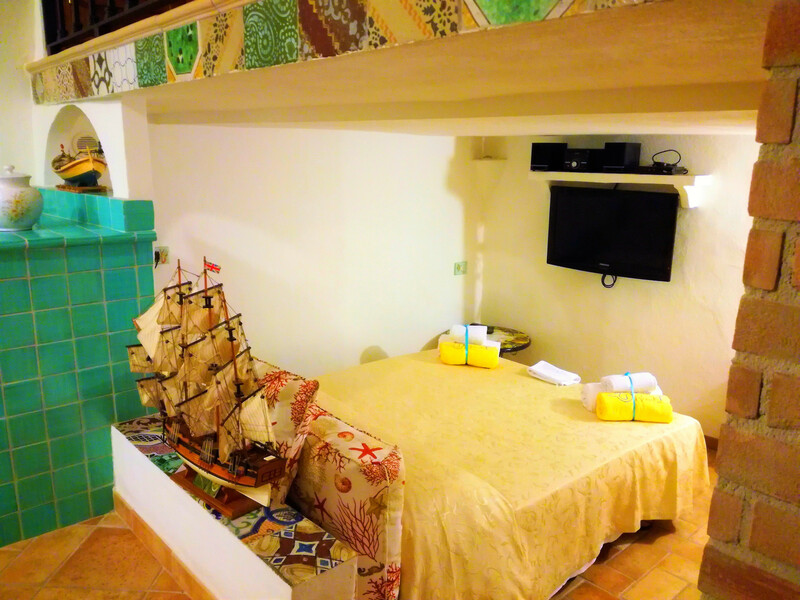 Set in the heart of the historic center of Sperlonga, Casa Diana is a recently wisely refurbished apartment. 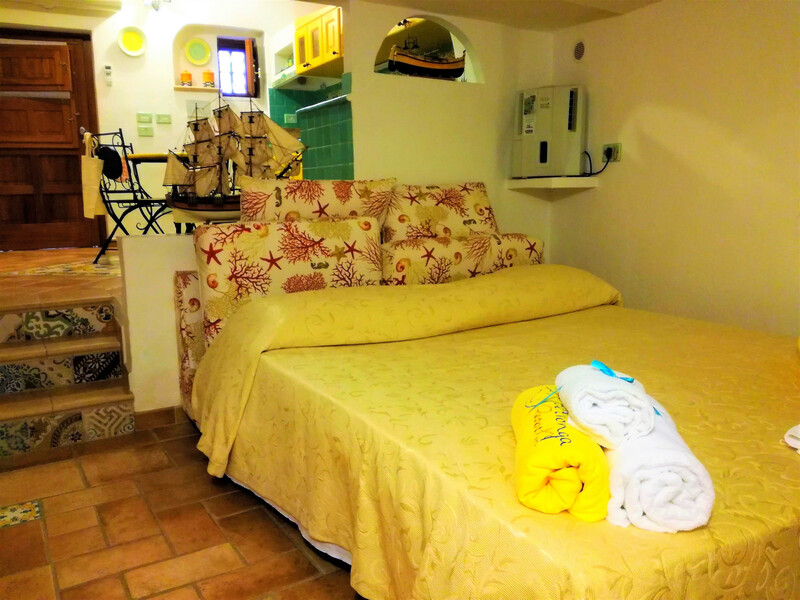 It consists of one large room perfectly divided. 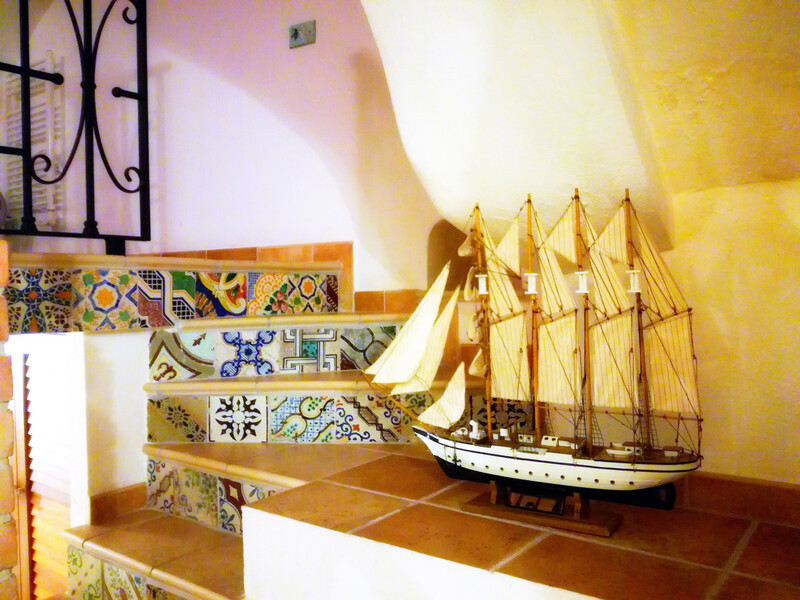 The decor, well-kept and precious creates a Mediterranean atmosphere. 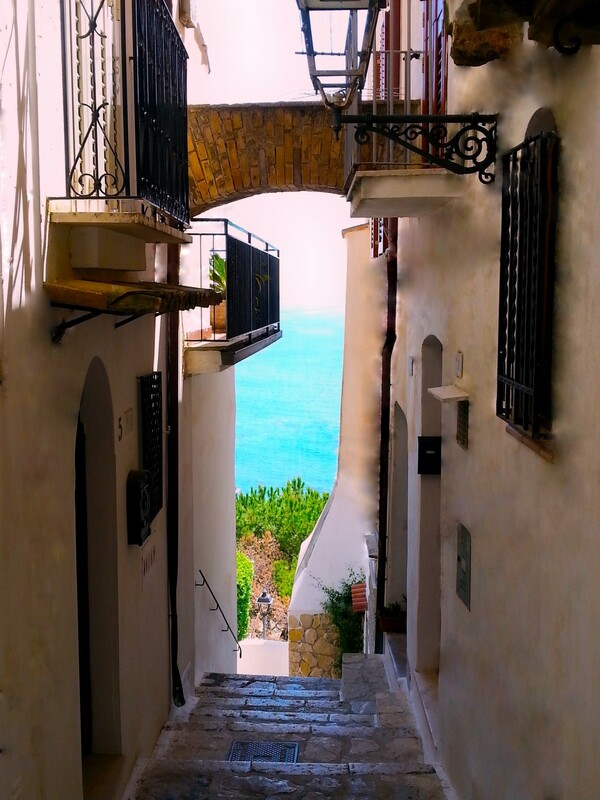 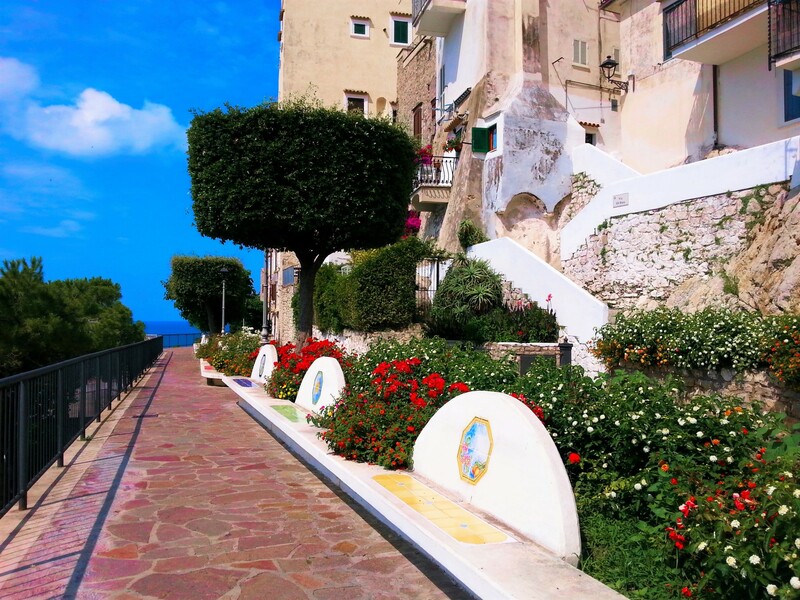 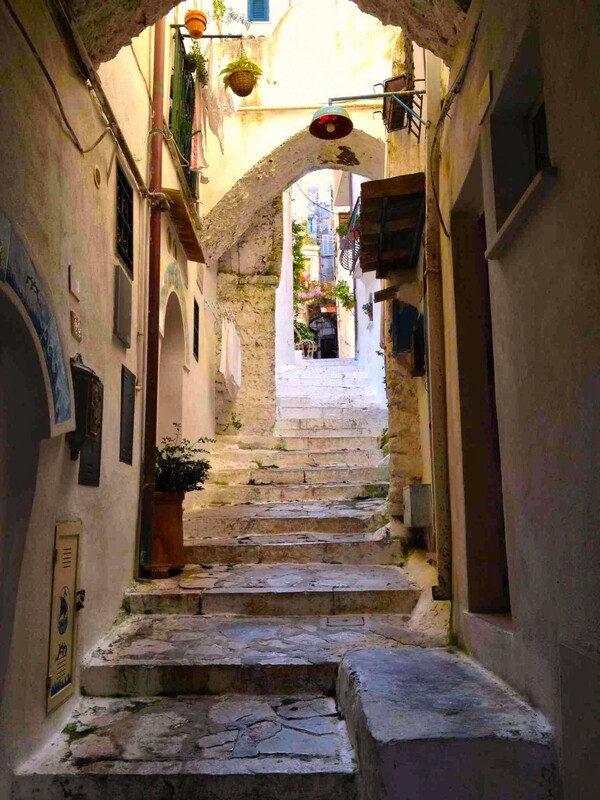 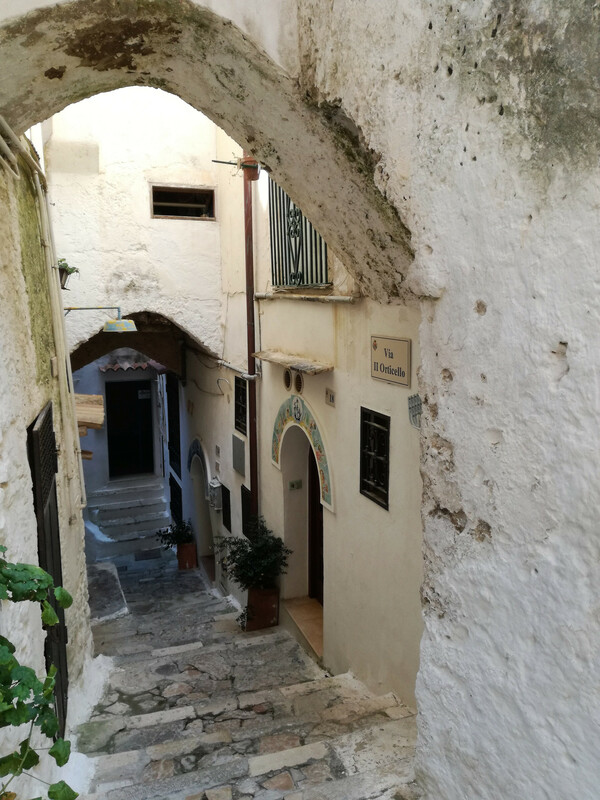 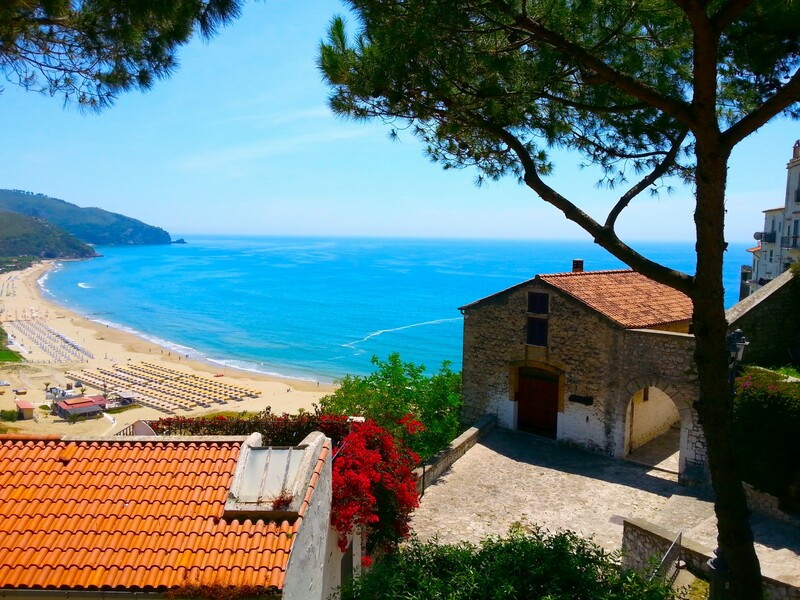 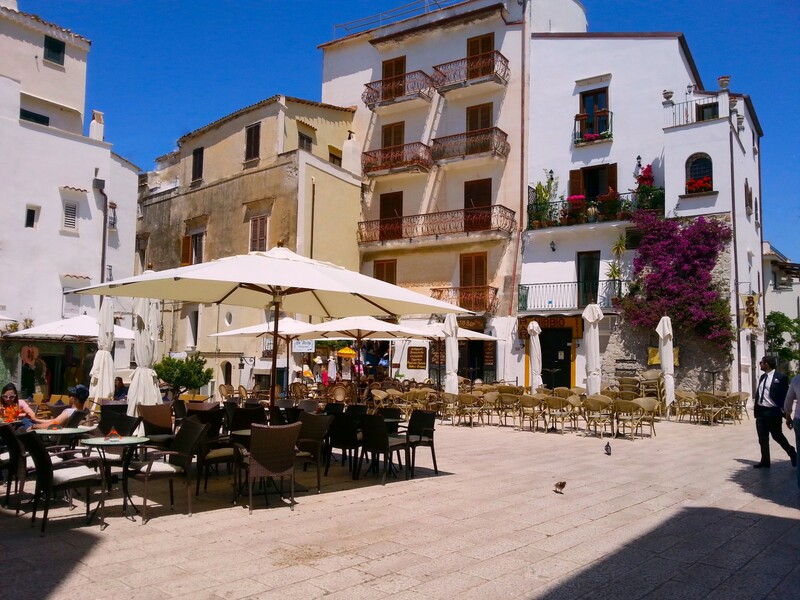 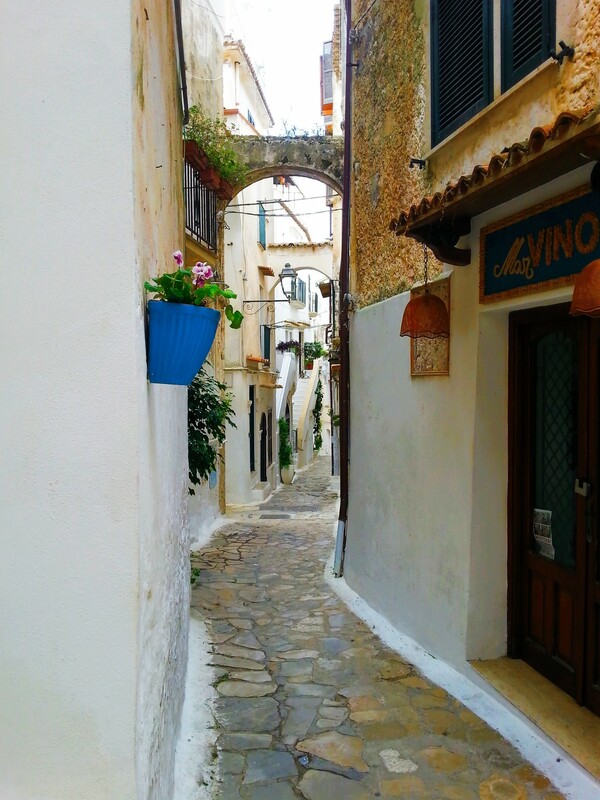 Although it does not have a sea view, it opens onto a charming small alley just a few steps from the “Piazzetta”, cafes and shops. 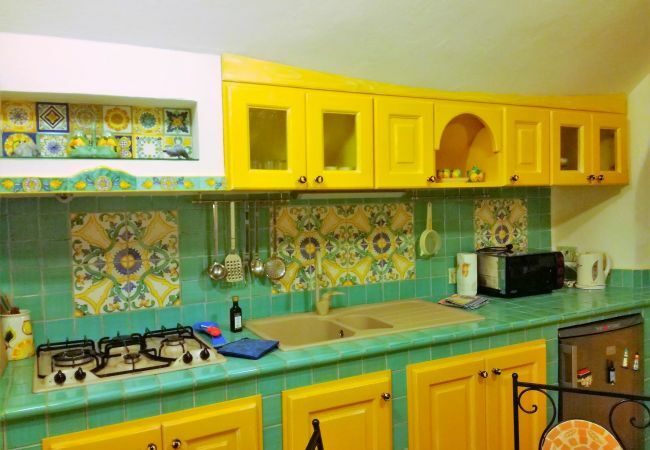 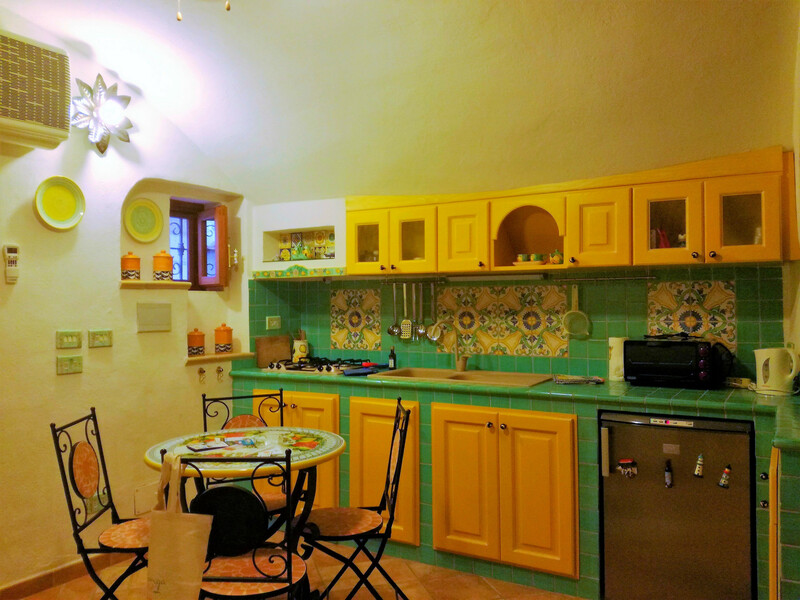 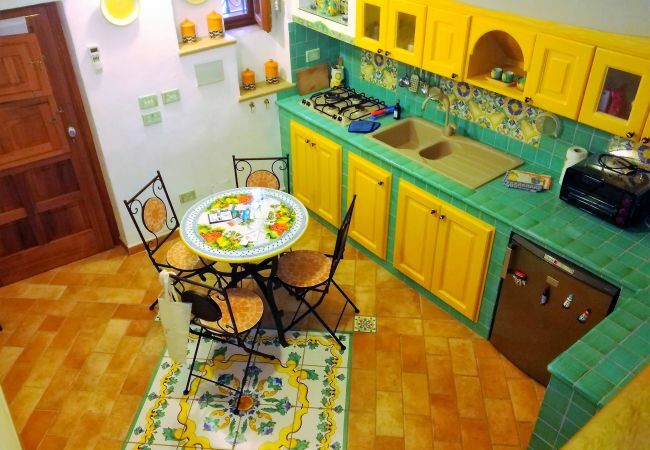 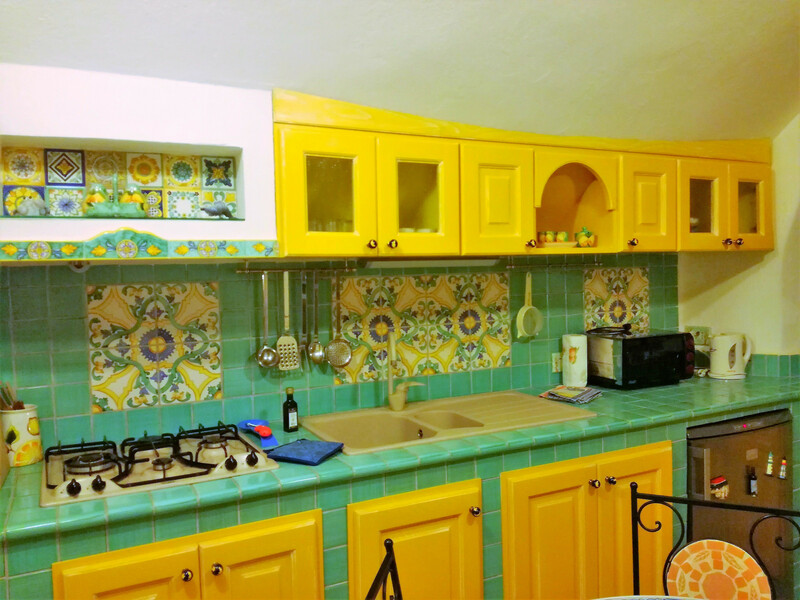 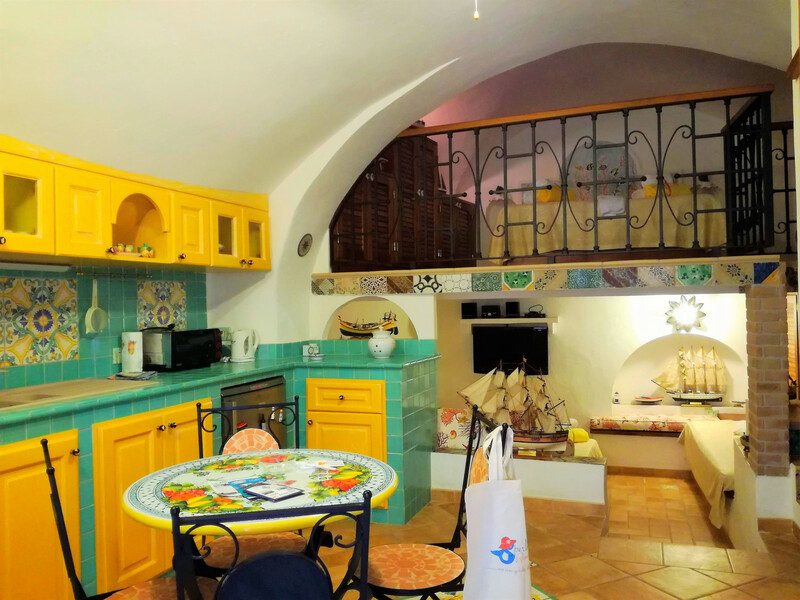 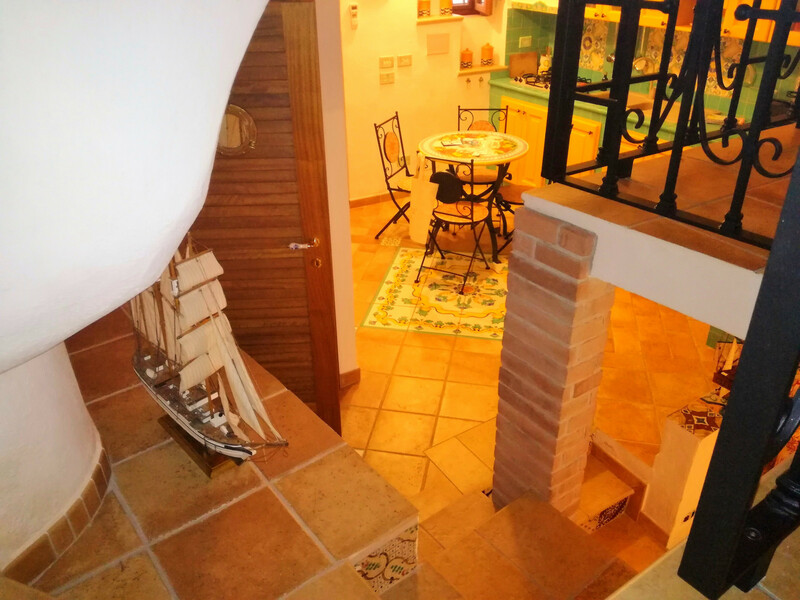 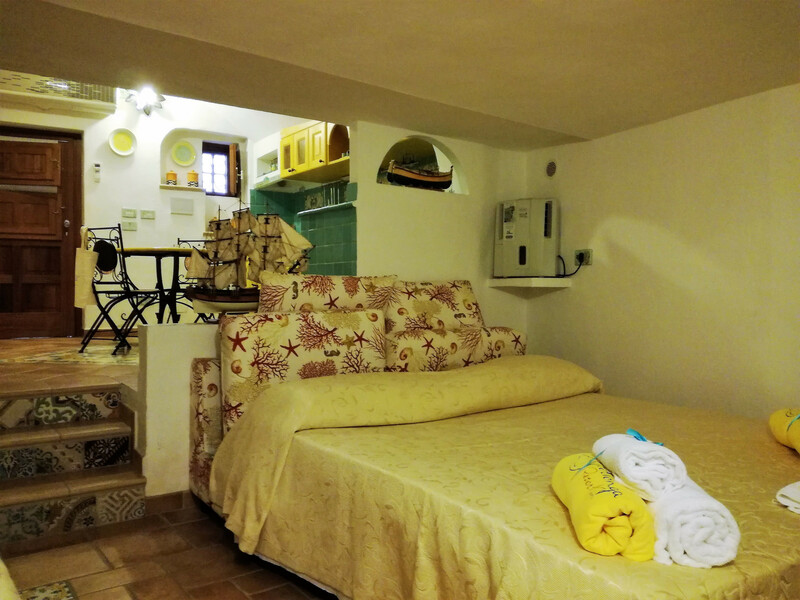 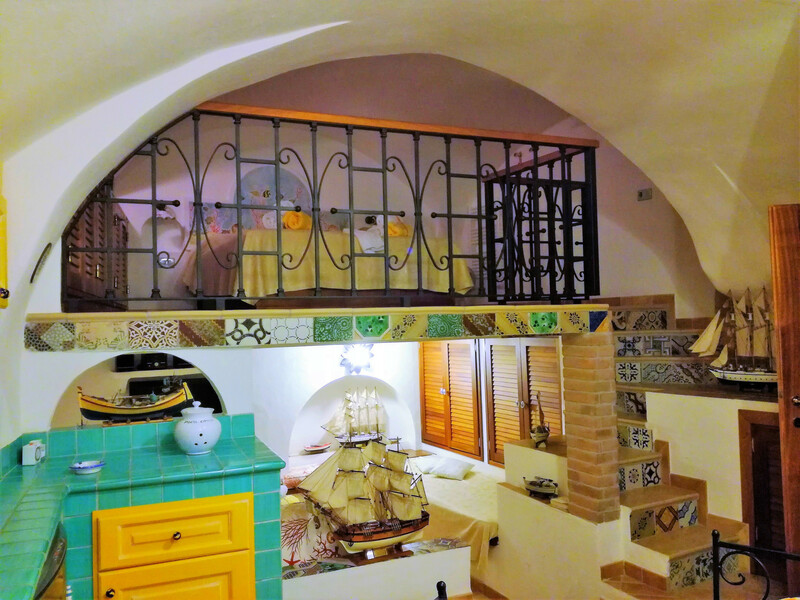 The house consists of a double bed area, located on the brick loft, decorated with a high vaulted ceiling; below the mezzanine floor there is the living area with a double sofa bed and kitchenette, all finely decorated with Vietri tiles in bright colors. 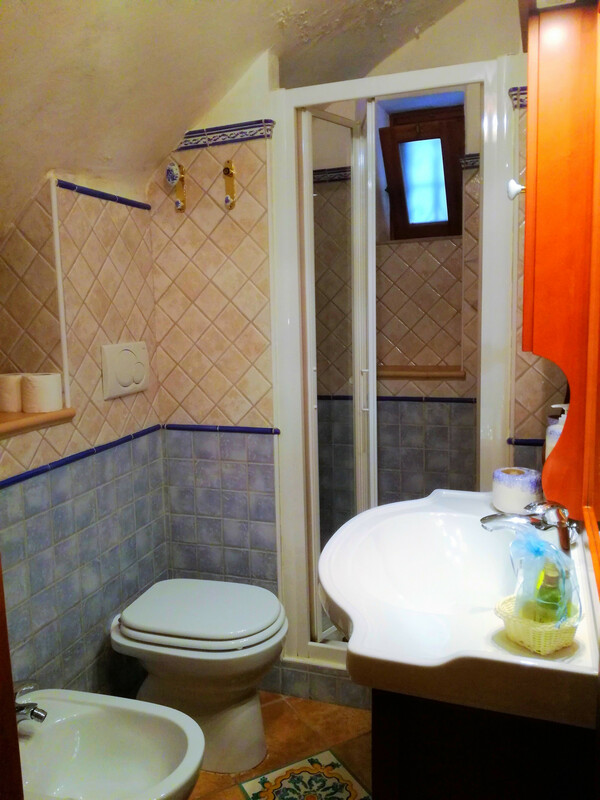 The bathroom, comfortably sized, has a large shower. 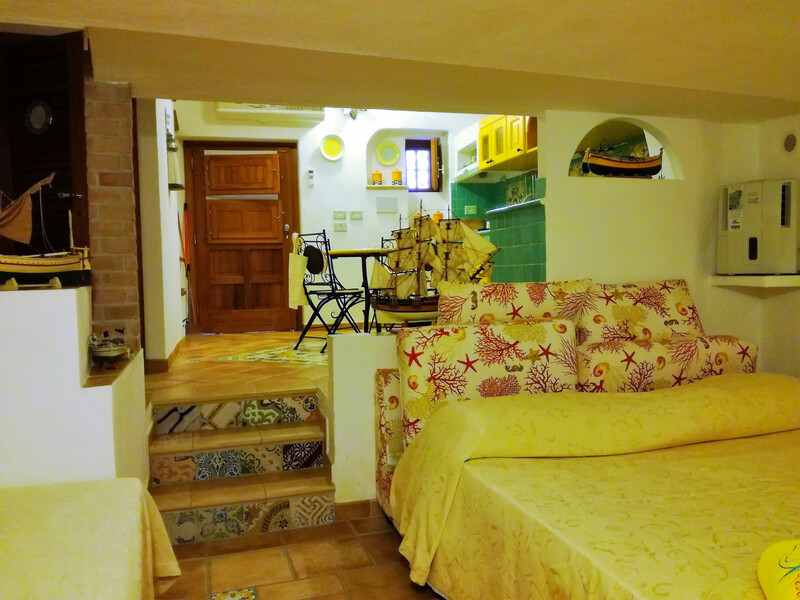 Stereo, iron, hair dryer, 40 m² property, pet-friendly, air conditioning throughout the house. 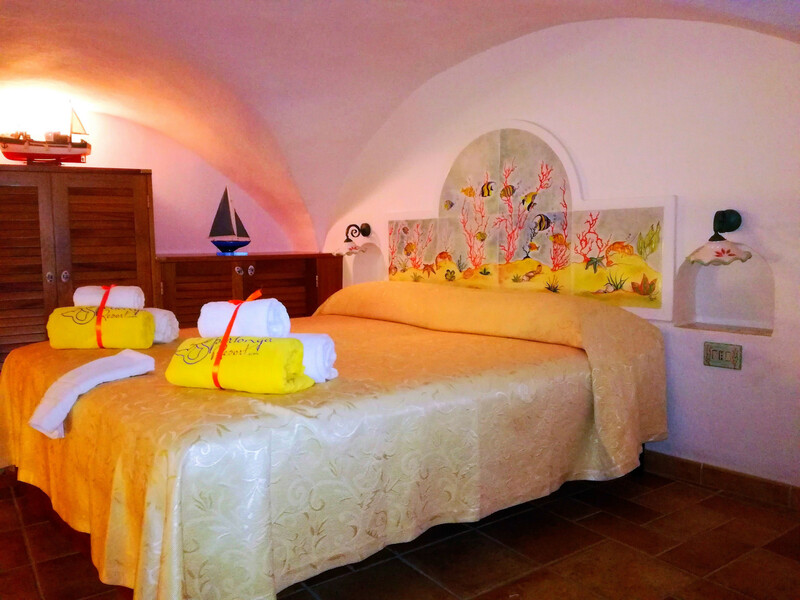 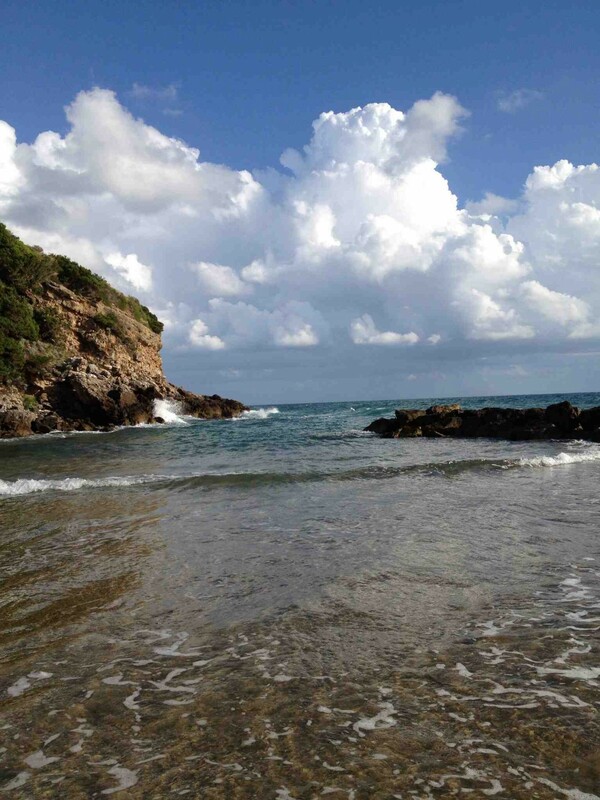 Amount: €150.00 /booking.Payment method: credit card number as a guarantee.To be paid on site.